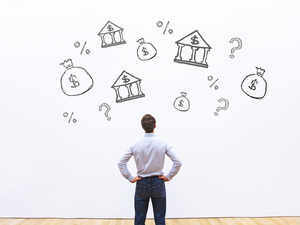 Many `new' investors are facing a tough time in 2019. Many `new' investors are facing a tough time in 2019. Most of these investors have started investing in mutual funds after the `deomentisation' drive by the central government, and they are staring at negative returns from their equity mutual fund investments in the New Year, probably for the first time in their lives, say mutual fund advisors. Most advisors and financial planners say it is extremely important for these investors to stay focused during the uncertain and perhaps volatile times in the market if they want to achieve their future financial goals. Etmutualfunds.com asked advisors and planners to list the important rules for investors to survive the trying times in 2019. Read on. Mutual fund advisors believe that the new investors put money in schemes depending on the past performance and expect similar returns in the future also. This, according to them is a wrong approach. “Some investors, which we have seen in the last couple of years, bet on schemes which were giving 40-50 per cent returns in 2017. These investors were not clear about the kind of schemes they are getting into, the risk involved in these schemes and about their own risk appetite. These investors were hit the hardest when their schemes crashed in 2018,” says Neeraj Chauhan, CEO, The Financial Mall. “Invest in mutual funds with a goal and know the average return that you can get over the long-term. Don’t over expect,” says Neeraj Chauhan. Another important point that new investors should keep in mind is their investment objective, say mutual fund advisors. Investing in equity mutual funds should be for the long-term goals, and debt funds to take care of your short-term goals. “There were investors who only invested in mutual funds because they were generating great returns. So, if you invest for a goal, you stick to the fund till to achieve the goal. But these investors came for 50 per cent returns and as soon as they came down, these investors fled,” says Puneet Oberoi, Founder, Excellent Investment Advisorz. “Focus on your goal and stay invested till you meet the goal. Don’t get greedy or fearful in the market,” advises Oberoi. Mutual fund advisors also ask investors to stay calm in a volatile or uncertain period. Don't panic and start running away, they say. “Volatility can be your friend if you invest with discipline. Many investors have put their investments on hold or withdrawn their money during the volatile period in 2018. But taking tactical calls of pausing and stopping is not a retail investor’s job,” says Ankur Maheshwari, CEO, Equiris Wealth. “If you have to create wealth in the long-term, continue your SIPs during volatile times. It will help you buy more when the markets go down and this average the purchasing cost,” Maheshwari advises. Mutual fund advisors say that many investors, who joined mutual funds after the equity market starting going up in 2016, only invested in equity mutual funds. Ideally, a mutual fund portfolio should have some cushion to save your money in times of a market fall or when one asset class underperforms. “Investors need to understand that one asset class, say, for example- equity markets, will not perform all the time. I have seen investors who have all their money in small and midcap schemes. These investors are badly hurt when the market falls,” says Neeraj Chauhan. “Choose a mix of products. Have debt cushion to your equity component and invest according to your risk appetite,” advises Chauhan. We receive a lot of queries on our facebook page where investors have too many schemes in their portfolio. Some investors have as many as 24 schemes in their portfolio. Mutual fund advisors believe that this kills the growth of your investment. “New investors try to invest in all the good schemes out there. This is not diversification but over-diversification. Many of these schemes have over-lapping portfolios which kill the returns from your portfolio. Invest in two to five schemes that match your risk profile and investment horizon and you are good,” says Ankur Maheshwari.